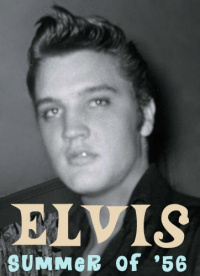 According to Elvis Club Berlin a DVD called Summer Of '56 (probably a remake of the June Juanico material) has been released earlier this week. To those confused by my last posting, it was in response to stupid comments made by a person that keeps popping up under various aliases. He asked when this book was coming out when it clearing states above that it is a DVD. This new book is actually a new fangled invention called a DVD. If placed inside the right equipment, it will speak to you and show you moving pictures, isn't that amazing? Regarding the release of the out-takes that Sony do not have tapes of, unfortunately they have not yet discovered a way of releasing them without having the tapes! I think that the cry for help was long overdue.